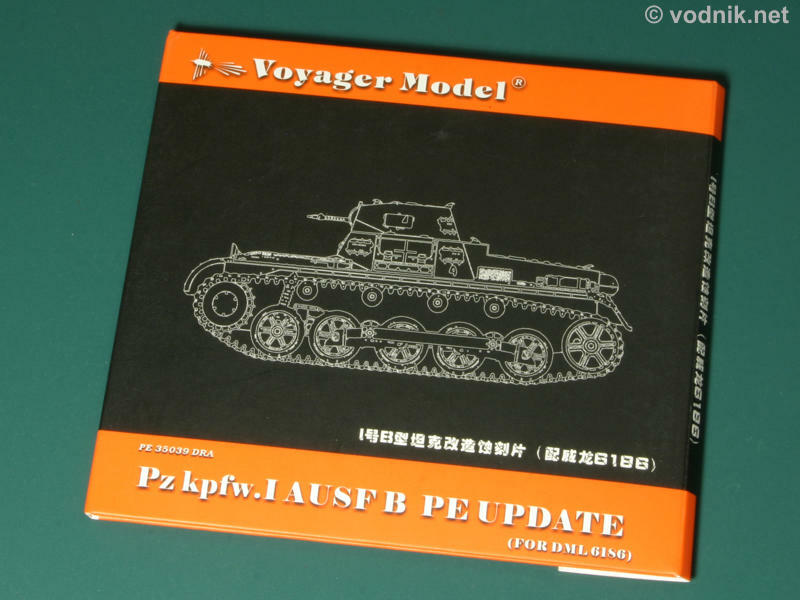 The latest product from Voyager Model company is the update set for Dragon's (DML) 1/35 scale kit of Panzer Kampfwagen I Ausf.B. 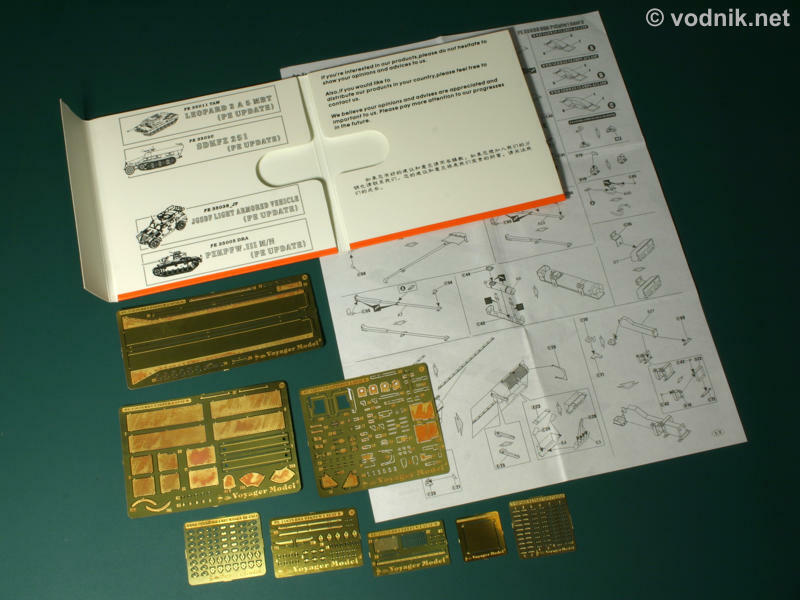 Unlike most products from the Chinese manufacturer, this set is composed purely of photoetched brass parts. The ABS rods are shown on the back of the CD-case type cardboard box, but this is just printing error as they are neither included nor required. Copper parts were not used this time, but we do get eight brass frets of two thicknesses - standard 0.15 mm and thicker 0.25 mm. 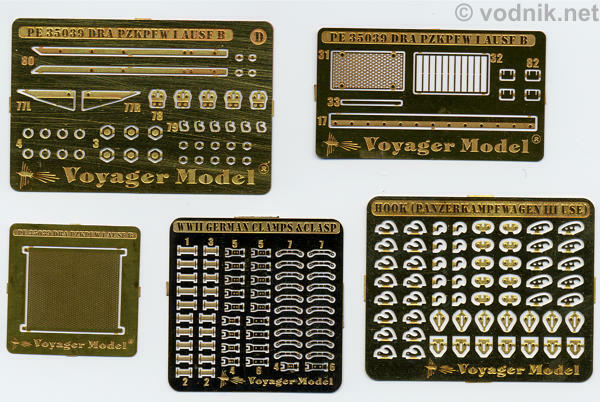 Two of included sets come from other Voyager sets and only a few parts from them are used, so quite a lot is left for the spare parts box and use in other models. 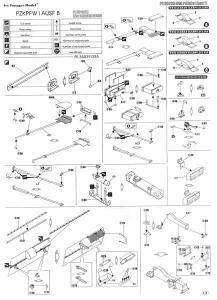 Clear instructions are printed on both sides of single A4 size sheet. - various other small parts and fittings (see instructions scans). 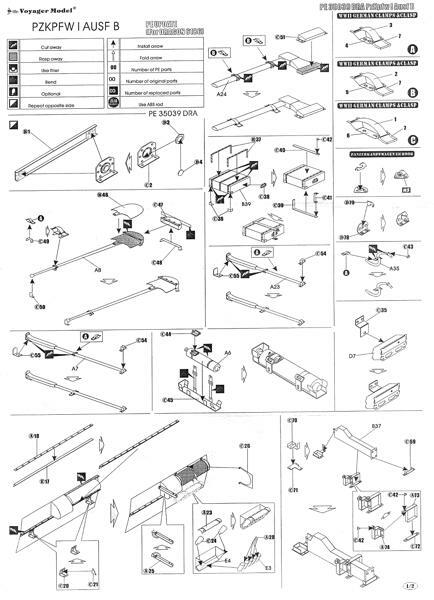 Instructions show how to assemble lifting hooks, but do not provide information regarding their placement on the model. 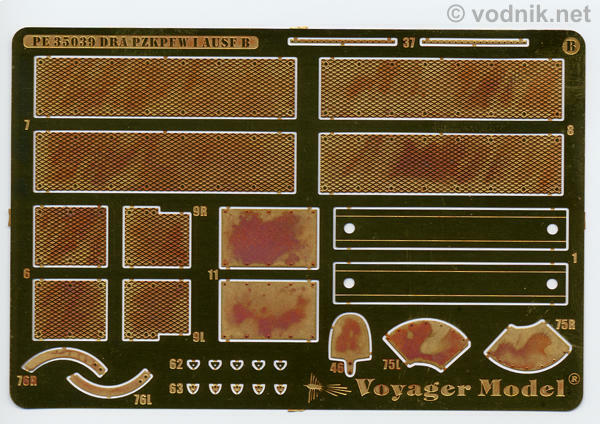 I'm not familiar with Dragon kit, so I can only guess that these parts are direct replacement of plastic pieces and that's why they were not described in Voyager instructions in more detail. Photoetched fret D and other small frets included in the set. 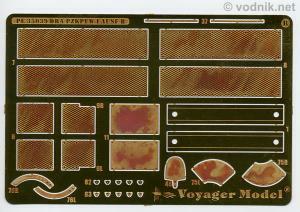 As in all Voyager sets also here some tiny brass parts are included and appropriate skills are needed to assemble and attach them. 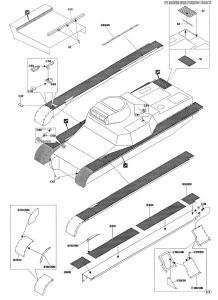 This set requires quite extensive "surgery" to plastic kit parts, as fenders molded as part of upper hull in Dragon kit have to be completely removed. This means that the set is meant for more experienced modelers. 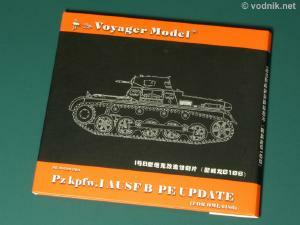 Voyager Pz. Kpfw. 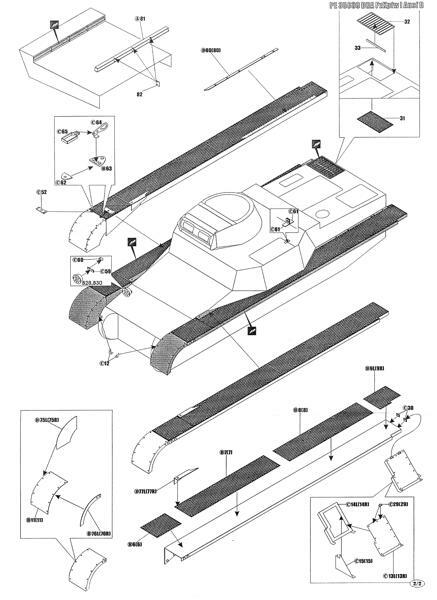 I set is another interesting product from this manufacturer. It does not include as many parts as some other Voyager sets, but the model itself is also quite small. 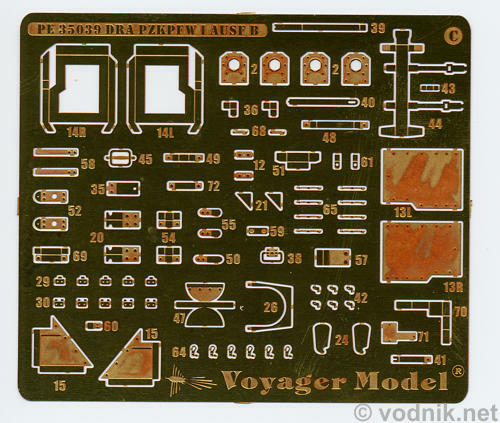 Small details would certainly improve the look of the model, but brass fenders are definitely the most important parts in this set and should enhance its appearance significantly.